This guide offers guidance on information resources for nursing and physician assistant (PA) clinicians and graduate students, covering clinical and research search strategies. Scopus, a large interdisciplinary resource, indexes, selectively abstracts and provides citation analysis for approximately 20,000 peer-reviewed journals from more than 5,000 international publishers, as well as 2,600 open access journals, published sets of conference proceedings, trade publications and millions of selected web pages. Scopus’ 50 million records consist of: 29 million records, including references, going back to 1995 (84% include abstracts)and 21 million pre-1996 records going back as far as 1823. Scopus also cross-searches 25.2 million patents from five patent offices (US Patent & Trademark Office, European Patent Office, Japan Patent Office, World Intellectual Property Organization and the UK Intellectual Property Office) Coverage extends across disciplines in the life and health sciences, the physical sciences, the social sciences and the arts and humanities. Scopus also provides tools designed to support research collaboration and assess journal quality. Online access to citations and abstracts for every title in the UMI Dissertation Abstracts database; since 1997, provides full-text access to dissertations (for non-UC dissertations provides free access to 20% of the document, and allows purchase of remaining content). Access is free to UC Campus dissertations. This is a subset of ProQuest Dissertations & Theses International. It is comprised only of those dissertations and theses completed in the UC System. Access to the full text of the dissertations and theses is available through this database. OATD currently indexes over 1.5 million open access international graduate theses and dissertations. Metadata from over 600 colleges, universities, and research institutions. AccessMedicine.com is an innovative online resource that provides instant answers to clinical questions from the most trusted sources. To keep pace with the changing practice of medicine, AccessMedicine delivers the latest medical advances and knowledge in a digital aggregation with online desktop, PDA, iPod, and MP3 compatible device solutions. A collection of books from Lippincott, Williams, & Wilkins, including medical, nursing, and basic sciences titles. STAT!Ref provides access to the latest editions of medical, chemical and pharmacological texts, dictionaries and indexes. Users are able to cross-search the entire library and results are displayed as hot links leading to detailed information in full-text book format with tables and graph. Use to search local UC Davis Library Catalog. Does not include UC Davis Mabie Law Library holdings. Contact Help / Ask a Librarian and/or UC Davis Health Sciences Librarians for assistance and more tips about getting the most from library search. The My Account (link in top banner) section is used to check the status of items you have on loan or requested. Ventilator Associated Pneumonia Systematic Review Search in PubMed. Catheter Associated Urinary Tract Infections Systematic Review Search in PubMed. Central Line Associated bloodstream infection (CLABSI) Systematic Review Search in Pubmed. Provides a bibliographical approach to individual nursing theorists. Information and resources for nurses worldwide. Includes a Nursing theories A-Z as well as information on other nursing topics. USD provides an excellent place to begin research on nursing theory. US and state legistation information of interest to nurses. California legistation information of interest to nurses. Use this website from the Library of Congress to search for Legislation in Current Congress. Note: opens as a PDF. Essential Nursing Resources (ENR) is the premier product of the Interagency Council on Information Resources in Nursing. The ICIRN first created a research tool for nurses and librarians beginning in 1967 and has, since that time, provide a tool listing important and helpful references and resources for nurses and librarians. The Virginia Henderson International Nursing Library – online research repository is committed to providing knowledge resources to help advance nurses and patient care. The repository is dedicated to bringing the latest research on nursing knowledge important to all nurses – clinicians, researchers, educators and students. 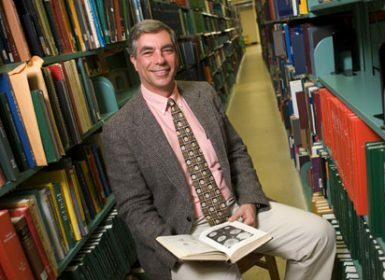 The NAHRS (Nursing and Allied Health Resources) section of the Medical Library Association has compiled a list of resources on nursing history websites. The campus license to EndNote has not been renewed, but many will continue to use it. 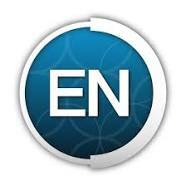 Many people use Endnote because of its compatibiilty with Microsoft Word. The libraries offer classes on Endnote. Please note: When you download EndNote, follow the accompanying instructions precisely. Take a few minutes to watch some introductory videos from the EndNote | Thomson Reuter’s website. UC Davis Library’s EndNote: Getting started guide by Librarian Cory Craig provides a web-based overview to basic EndNote functions, illustrated with screenshots. Includes custom settings for UC Davis to enable finding full-text. 3. Drag and drop citation to the place in the document where it is wanted. 6. In MS Word, select EndNote menu so that EndNote commands are visible. (command wording may differ in different MS Word versions). The crucial piece of this is that everyone adding citations to the Google Docs document needs to use the same EndNote library because part of the citation identification is the record number. The library could be in Dropbox or on a server to which everyone has access. 1 800 336 4474, prompt 4, option 1. The American Association of Colleges of Nursing (AACN) is the national voice for America’s baccalaureate and higher-degree nursing education programs. CGFNS International (Commission on Graduates of Foreign Nursing Schools®) is an internationally recognized authority on credentials evaluation and verification pertaining to the education, registration and licensure of nurses and healthcare professionals worldwide. The Foundation is dedicated to advancing environmental conservation and cutting-edge scientific research around the world, as well as helping to improve quality of life in the San Francisco Bay Area. The Immunization Action Coalition works to increase immunization rates and prevent disease by creating and distributing educational materials for health professionals and the public that enhance the delivery of safe and effective immunization services. ICN is “is a federation of national nurses’ associations (NNAs), representing nurses in more than 128 countries. Founded in 1899, ICN is the world’s first and widest reaching international organisation for health professionals. NursingCenter is your portal to more than 800 continuing education activities and thousands of clinical articles from 50 leading nursing journals published by Lippincott Williams & Wilkins, including the American Journal of Nursing, Nursing2008, Nursing Management, The Nurse Practitioner, Nursing Made Incredibly Easy, and many more specialty journals. The Center for Immigrant Health’s mission is to facilitate the delivery of linguistically, culturally, and epidemiologically sensitive healthcare services to newcomer populations. The Center strives for the elimination of ethnic and racial disparities in healthcare. An independent, not-for-profit organization, The Joint Commission accredits and certifies nearly 15,000 health care organizations and programs in the United States. Joint Commission accreditation and certification is recognized nationwide as a symbol of quality that reflects an organization’s commitment to meeting certain performance standards. The Association of California Nurse Leaders is the nursing leadership organization that advances professional nursing practice, influences health policy and improves the health of our communities. Founded in 2002, the California Institute for Nursing & Health Care (CINHC) is a nonprofit 501(c)(3) organization dedicated to developing solutions to a critical nurse shortage and related nursing issues that affect the health of all Californians. The California School Nurses Organization (CSNO) was formally organized in 1950 after 2 years of meetings for “the promotion of comprehensive and constructive school health programs. CNCC is an independent coalition of health care organizations, hospital administrators, and nurse educators and faculty working together to address the long term nursing shortage in California. The American Nurses Association (ANA) is the only full-service professional organization representing the nation’s 2.9 million registered nurses (RNs) through its 54 constituent member associations. The ANA advances the nursing profession by fostering high standards of nursing practice, promoting the rights of nurses in the workplace, projecting a positive and realistic view of nursing, and by lobbying the Congress and regulatory agencies on health care issues. ANA\C, a constituent member of ANA, leads the profession of nursing in fulfilling it’s commitment to excellence in practice, education, research, and social policy. The National Association of School Nurses improves the health and educational success of children and youth by developing and providing leadership to advance school nursing practice. NINR “supports clinical and basic research to establish a scientific basis for the care of individuals across the life span.” Information and publications on topics such as end-of-life care, pediatrics, women’s health, and geriatric care are accessible. Also includes information about diversity programs, conference listings, and other related links. Dedicated to excellence in nursing education, the National League for Nursing is the preferred membership organization for nurse faculty and leaders in nursing education. NLN members include nurse educators, education agencies, health care agencies, and interested members of the public. The mission of the National Network for Immunization Information (NNii) is to provide the public, health professionals, policy makers, and the media with up-to-date, scientifically valid information. ADEC is one of the oldest interdisciplinary organizations in the field of dying, death and bereavement. Its nearly 2,000 members include a wide array of mental and medical health personnel, educators, clergy, funeral directors and volunteers. 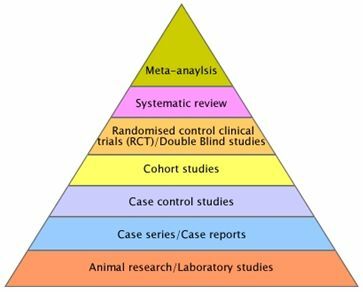 Find clinical practice guidelines based on scientific evidence. Browse or search for guidelines on various topics. Reports on which agencies and organizations can base clinical guidelines, performance measures, and quality improvement tools. Evaluates clinical research to assess the merits of preventive measures, including screening tests, counseling, immunizations, and preventive medications. From National Comprehensive Cancer Network. Evidence-based consensus statements addressing controversial issues important to healthcare providers, policymakers, patients, researchers, and the general public. American Heart Association Guidelines for CPR and ECC. See Also: Available through the Citrix Desktop; login to Citrix and navigate to the CRC. Browse guidelines by specialty, patient age or authoring organization. This site from the Hartford Institute for Geriatric Nursing offers hundreds of evidence-based resources for nurses and other caretakers of the elderly. View Resources directs to a list of more than two dozen types of resources, including Apps, Journals, Listservs, Marketing Materials, and many others. 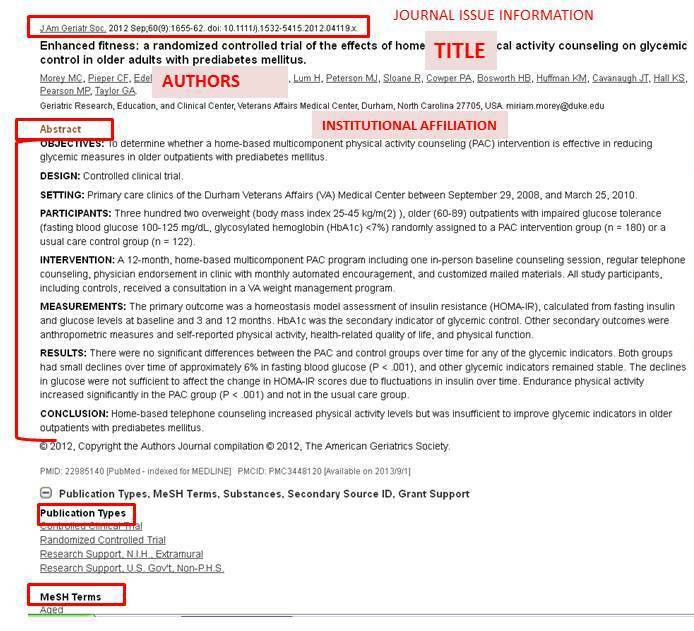 The site can also be searched using the drop down menu of evidence-based geriatric topics, such as Advanced Directives, Sleep, and Substance Abuse, among others. Selecting Critical Care from topics list, for instance, navigates to an impressively informative article by Michelle C. Balas, PhD and colleagues, in which the authors explain parameters of assessment, nursing care strategies, and other details of critical care. This website is comprised of licensing guides, details on pursing a speciality area of practice, earning a certificate of added qualification (CAQ), preparing for the PANCE exam and salary data that will help individuals get in to and advance in their career.